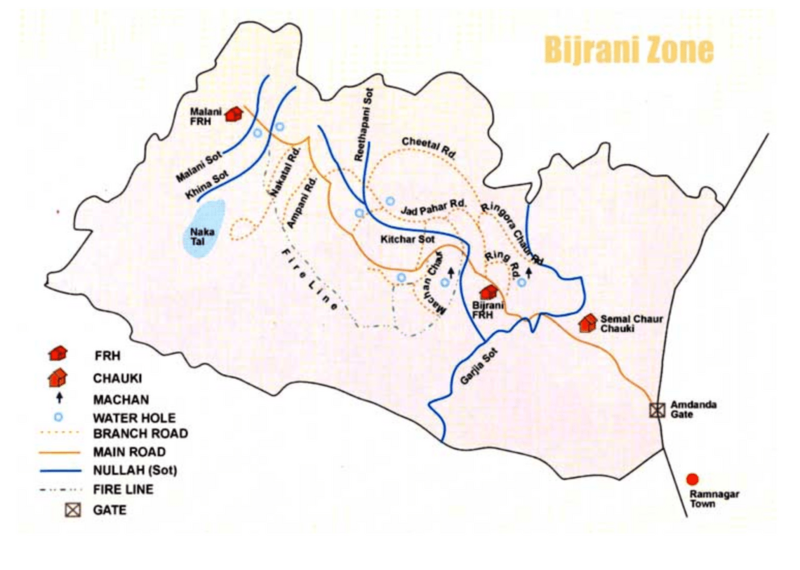 Bijrani zone is one of the most popular & preferred zone amongst tourists for day visit. The entry gate to the Bijrani safari zone is known as Amdanda gate. It is approximately 2 kms away from the Ramnagar city. This zone is enriched with a huge number of floral and faunal species. The zone is known for its wonderful landscape and is very calm and quiet place. Bijrani consists of a mixed topography with dense Sal forests combined with grasslands.